You are currently browsing the category archive for the ‘Beef’ category. Pasty is something Reid and I both ate growing up. 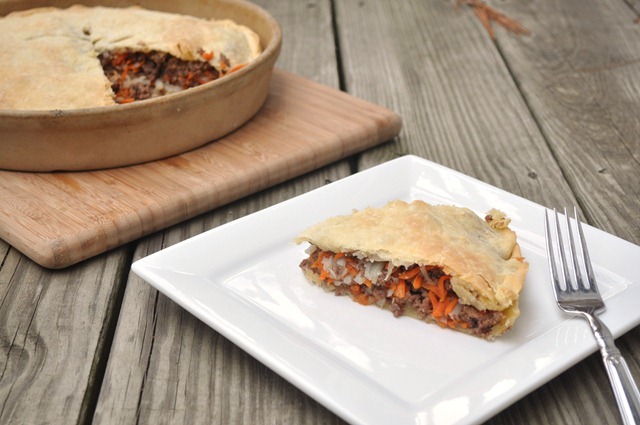 It is a meat and potato pie, though usually an individual hand pie. This is a very basic recipe and you can definitely amp it up…the possibilities are endless! We prefer the simplicity of this dish and it will definitely be a staple comfort food this winter. It is a really hearty, all-in-one dish perfect for a chilly night. It can be eaten by itself but we always prefer it with ketchup! Try it! It’s delicious. For the crust, melt the butter and shortening in the hot water. Add the salt and flour and stir to create a sticky dough. Do not overmix. Cover and chill for at least an hour for easier handling. Preheat the oven to 350 degrees. 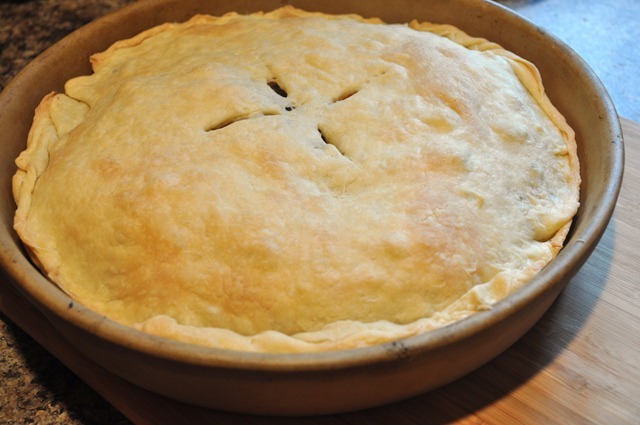 Lightly grease or spray a pie plate with cooking spray. Cook the ground beef and onion in a skillet. Drain. Add the garlic and cook for another minute or so. Season with salt and pepper. 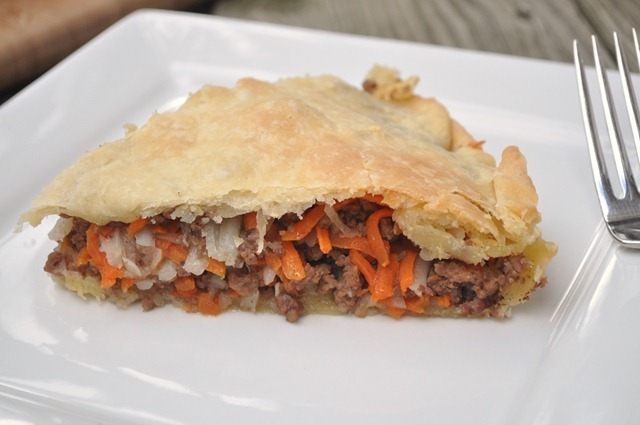 Combine the beef mixture with the shredded potatoes and carrots and set aside. Bake for 45-55 minutes, or until the top is golden brown. Allow to cool for a few minutes, slice, and serve! *You can also make individual hand pies by dividing the dough into 4-6 even portions. Roll each one into a circle, put a scoop of the filling in the middle, and fold the dough over to create a half moon. Seal the edges and score the top. 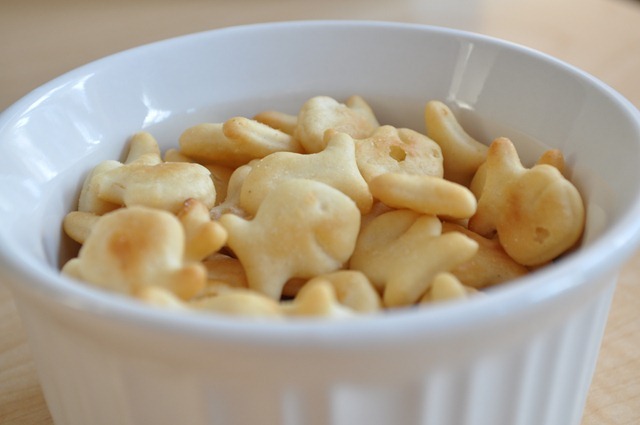 Bake as above, though they may bake quicker so start checking them around 30-35 minutes. Work passed by quickly this morning and I was headed home before I knew it. I’m only working part time so I get out at 1. I reheated some leftovers for lunch…meatloaf! I hated it as a kid but it equates comfort food now. I also had some mashed potatoes and carrot sticks (not pictured). It’s pretty ugly, I know. But it tasted good! 🙂 My mother-in-law sent me two new cookbooks as an early birthday gift (Thanks, Nola!) and I found the recipe in there. I made up my own sauce for the top but this was really, really good and I will definitely make it again when the need hits. It’s a basic recipe but it’s delicious! Preheat oven to 350 degrees. In a medium bowl, combine all ingredients. Form into a loaf and place in a greased baking dish. Bake for 50-60 minutes. For the sauce I combined about 1/2 cup ketchup, 1-2 Tablespoons brown sugar, 1/2-1 teaspoon spicy brown mustard, and a dash of soy sauce. Adjust to your tastes. 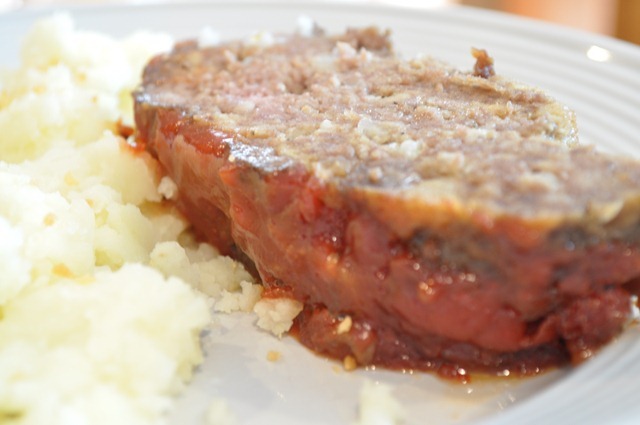 Spread sauce over baked meatloaf and return to oven for 10 minutes. Slice and enjoy! I ran to the grocery store to grab some things for dinner and just happened to find a few things that I’ve been wanting to try! 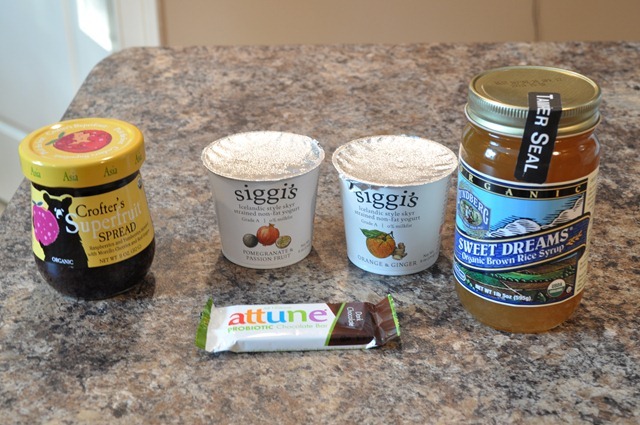 Crofter’s Superfruit Spread Asia, Siggi’s yogurt, brown rice syrup, and an Attune probiotic dark chocolate bar. Ah-mazing! 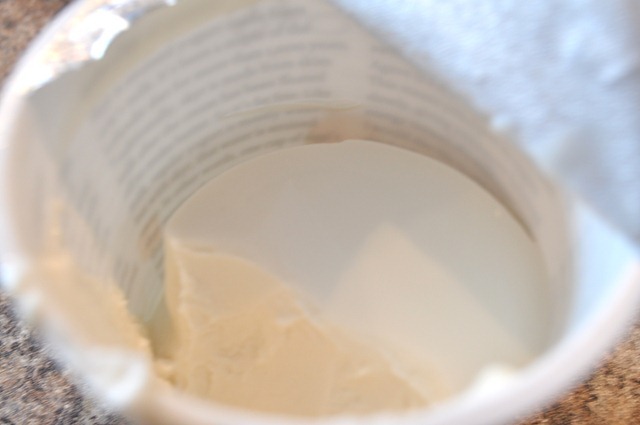 🙂 I’m not sure if you can tell how thick it is from the picture below but it’s the thickest yogurt I’ve ever had…and it has 16 grams of protein in 6 ounces! 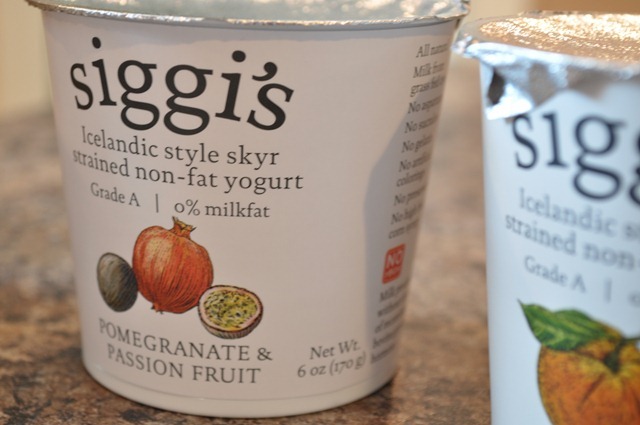 The flavor is subtle and not overly sweet…perfection! They are a bit pricey at $1.99 each but they are a nice treat. I ate half of the container. Hope you’re having an awesome day! !